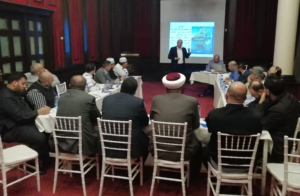 The SCN’s work in three cities in Lebanon has focused on several issues aimed at preventing violent extremism by consolidating social cohesion and raising awareness of the dangers of violent extremism at the local level. Three grassroots-owned municipal Prevention Networks (PNs) were established to coordinate local PVE efforts between the mayor and the local communities. 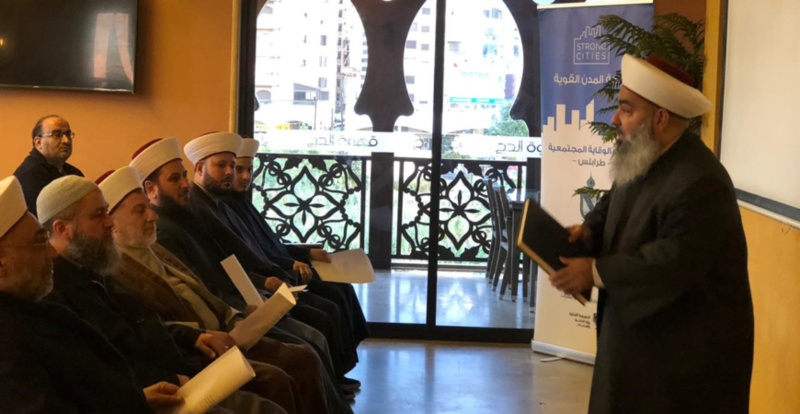 The activity is led by PN member and President of the Sunni Religious Court of the city of Saida, Sheikh Mohamad Abou-Zeid, who designed the initiative as a cross-PN intervention to create a manual for religious leaders conducting sermons preceding Friday prayers. This manual will provide religious leaders with social and cultural messages aimed at promoting positive interactions, tolerance and opposing violent extremist discourse. Workshops with religious leaders from the three SCN member-cities in Lebanon have taken place to co-develop the religious agenda with sheikhs from different cities, backgrounds and schools of thought. 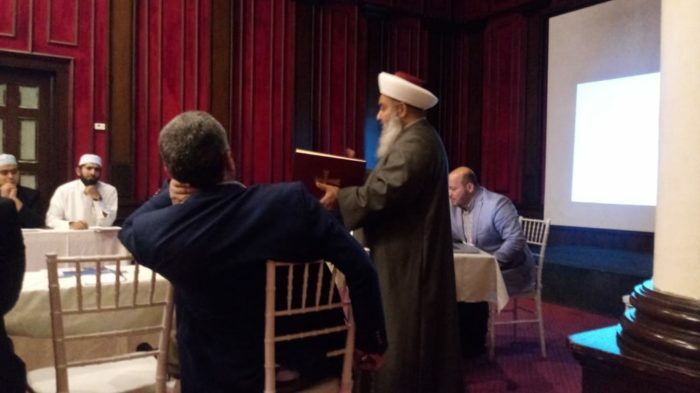 This methodology, led by Sheikh Abou-Zeid, aims to convince preachers that preventing violent extremism, and thereby protecting local communities and youth in particular, is a unifying cause. 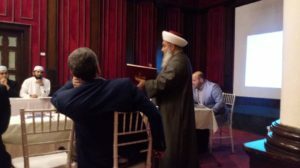 The cross-PN coordination on this unique activity was greatly facilitated by the religious leaders of the PNs of Tripoli and Majdal Anjar, who worked hand in hand to bring this project to fruition. Following the launch of the National PVE strategy of Lebanon and its endorsement by the Council of Ministers, PNs have been extensively engaged with the national PVE unit in recent months to enable the local multi-agency coordination mechanisms they have consolidated to be used as effective channels for the implementation of the National Action Plan at the sub-national level. To read more about our work in Lebanon and Jordan, visit our MENA page.